Steven Ross Smith, writer and sound poet, has published eleven books of poetry, fiction, and non-fiction, and has appeared on more than ten recordings in group and solo contexts. His book fluttertongue book 3: disarray, won the 2005 Book of the Year Award at the Saskatchewan Book Awards. 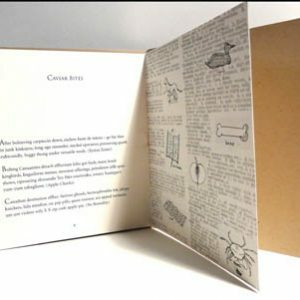 The chapbook Pliny’s Knickers, a collaboration between Smith, poet Hilary Clark and artist Betsy Rosenwald, won the 2005 bpNichol Chapbook Award. Smith has performed his work and/or been published in England, Holland, Russia, Portugal, USA, and Canada. fluttertongue 4: adagio for the pressured surround was published in the spring of 2007. fluttertongue 5:everything appears to shine with mossy splendour, the fifth in this multi-book poetic suite, will be published in the spring of 2011 by Turnstone Press. Smith is the Director of Literary Arts at the Banff Centre.